Pelicans are discriminating birds which are known to be protective of their young. There are currently eight known species of pelicans, the largest being the Great White Pelican. 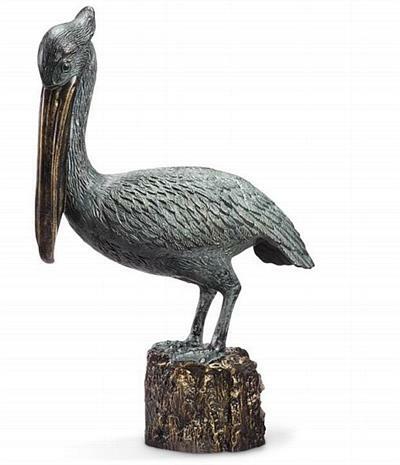 Our pelican sculptures include this large pelican beauty standing about 33"H and designed for use as a bluetooth speaker. You can use the sculpture to not only adorn your garden but to sound inviting music as you enjoy the calmness of your garden beauty. Dimensions: 33"H x 22" x 10"